This little scene of London is proud about its acoustic. Here, you can assist to recitals and chamber music concerts of very high quality and the Sunday concerts are especially appreciated. The headquarters (during the London season: December to March) of the RSC is now Novello Theatre. It still provides Shakespeare representations, campaigning to popularize his work. It is based in the South Bank Centre and all the theaters (Oliver, Lyttelton and Cottesloe) have productions in repertory. Some reduced price tickets for the representations are sold on the day of the show, after 10 am. Here you can see outdoor performances: theater (most of Shakespeare) and musical performances. Classical music, ballet and opera lovers can choose from a variety of offers. Among the major halls recommended for concerts there are the Royal Albert Hall and Royal Festival Hall, for dance, Sadler’s Well Theatre and for opera and ballet, House and Coliseum. In the surroundings there are many small halls dedicated to cultural merit and also numerous summer outdoor concerts are held in Hyde Park and Hampstead Heath. In this case, it is not recommended to buy tickets from the black market as they can be forged. Purchase only from ticket agencies and accredited agencies. It is the best destination for concerts of orchestra and chamber music and also recitals. In this Baroque church there are organized concerts, mostly chamber music that take place twice a month, every Thursday at noon. 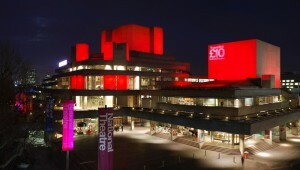 It is the residence of English National Opera, having representations only in English. At Christmas, here you can witness live performances of the National Ballet English. The ROH building is hosting the companies Royal Ballet and Royal Opera. It is one of the biggest stages in Europe and if you want to take a backstage tour you have to call ahead. This pub near Thames dates from 1684. Since 1959 it has become known for promoting modern jazz and concerts are held every night and on Sundays, at lunch. Many international jazz singers have performed on this very popular and ingenious modern stage. Beside jazz, you can also enjoy latin, funk, soul and hip-hop music. London prides with two jazz and good quality pizza restaurants: the intimate Pizza Express Jazz Club and the spacious Pizza on the Park. Small and smoky, in this place you can listen to the best jazz in the capital. In general, there are two performances per night, one at 10 pm and one at midnight. London has always had a leading position in terms of numerous pop and rock music styles that are promoted. Here is the place to listen to live music, from small pubs to mega-scenes such as Earl’s Court and the Carling Apollo, Hammersmith. Three of the best midsize places where you can see famous bands are Astoria, Brixton Academy and Ocean. London is one of the greatest cities regarding art exhibitions and culture, music, dance, theater and other events.